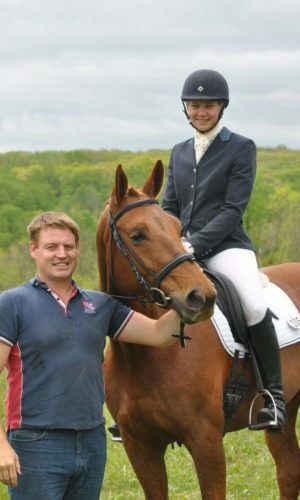 Ennisbrook Farm is under the new management of Sam Batters and Jules Ennis who specialize in producing young horses and helping students to become safer, more effective riders. Jules Ennis has been with Ennisbrook Farm since she was six years old, growing up with 4-H and pony club and helping the family run the farm as well as providing riding lessons. 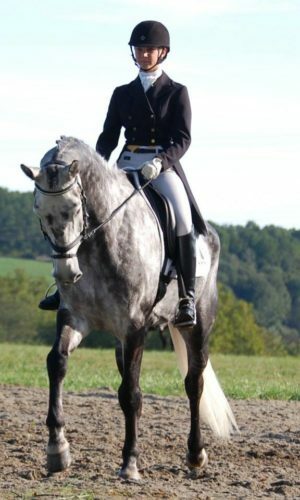 Jules Ennis is uniquely qualified as a riding coach and horse trainer, completing her BSc degree in Equestrian Sports Science with First Class Honors at Hartpury College in Gloucester, England where she was also a member of their Elite Equestrian Squad. Jules has her B rating in the United States Pony Club and participated in the United Kingdom Coaching Certification Program for Show Jumpers. In Eventing Jules has competed through the advanced level, with top five placings in the Advanced and FEI** levels. Jules has been very fortunate to learn from some of the world’s most talented trainers including Olympic Judge Nick Burton, U.S. Olympians Kim Severson and Clark Montgomery, British Show Jumping Young Rider Coach Corrine Bracken, and Grand Prix Dressage riders J.J. Tate and Elizabeth Madlener. Sam studied horticulture at Askham Bryan in the United Kingdom and after nine years as proprietor of Mistletoe Landscaping bravely followed his heart and started a new life in the U.S. with Jules Ennis. Sam has been an avid equestrian since childhood, foxhunting with his family and learning horsemanship through the British Pony Club with a passion for mounted games. Sam is a can-do-it-all extraordinaire managing the grounds, building fences, landscaping, starting young horses, retraining problem horses, and providing riding instruction.